One of the more tragic facts about New Mexico is that the state has the highest rate of pedestrian deaths in the nation. If you or a loved one has been harmed in an Albuquerque pedestrian accident, choose a pedestrian accident lawyer you can count on to fight for you. After you’ve been hurt, the last thing you and your family needs is to be treated as just another client. Your injuries and your case deserve to be treated with personal care and respect. I treat each of my clients with the dignity they deserve. As a result, my clients have been willing to provide testimonials stating that I treat clients with respect while delivering results. The last thing accident victims need is to be treated rudely or impersonally by their attorney. 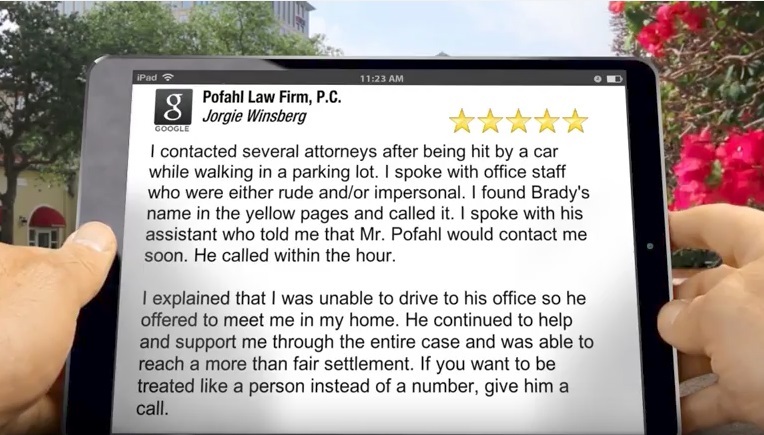 After all, your lawyer is supposed to be the one person who is always in your corner during a personal injury lawsuit! It is difficult to believe this if they are treating you as just another number from the moment you speak with them. When clients need to speak with me, I don’t treat them as clients. I treat them like I would want my own family to be treated in a difficult situation. If you need to speak with me, I will make myself available to you as soon as possible. I am an Albuquerque pedestrian accident lawyer who understands you don’t have the time or patience to wait around to hear from a lawyer. Unnecessary delays from an inattentive or undedicated lawyer simply prolong the timeline until you receive deserved compensation for accident injuries. What’s worse are some injury victims that don’t even meet their attorney and their case is handled from start to finish by staff- when you hire me, I will provide you with legal advice and my time to fully explain the legal issues to you to make sure you understand and that we have a plan of action on where to go and what to do in your case. If you are ready to receive the money you and your family need after an Albuquerque pedestrian accident, get in touch with me as soon as possible. Contact me for a free, no-obligation consultation to take the first step toward recovering the legal compensation you need after your Albuquerque pedestrian accident.